An interesting and memorable guest speaker can transform a good event into a great one. However, as an organiser, you need to realise that you have an important role in their success. 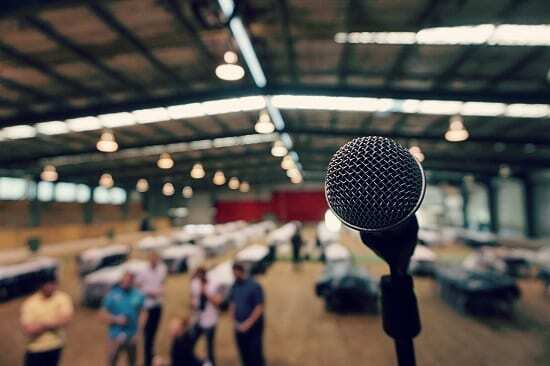 Brief your speaker in full about your event. Not just the obvious things like date, time, location and how long their talk must be. Make sure they understand your brand, the profile of your event attendees and what their interests are. This will help them to tailor their topic and make it more appealing and relevant. Try to make their experience as stress-free and comfortable as you can. Possibly request they send their presentation to you in advance (if they are happy to do so). You can then pre-load it and test it on the projector beforehand, and avoid technical glitches on the day. Make sure you give them clear guidelines on where to park (and arrange VIP parking if necessary). If traffic is bad, notify them. Make sure you give them enough time to arrive and settle in before giving their talk. At the same time – respect their schedule and don’t make them hang around for ages, either. Assign a point person to your speaker. This person should meet your speaker on arrival, show them around and answer their questions. They can also help with any issues that arise and can be a timekeeper during the talk if needed. Make your speaker feel welcome. Introduce them to your team, and make sure they are offered something to drink and snack on. If they are there during mealtimes, invite them to join you and your guests. Run through the speaker’s brief on the day, to make sure they don’t have any questions or concerns. This is also an opportunity to flag any changes to the programme or event, so that no curve balls are thrown at them while on stage. At the same time, check you can pronounce their name properly. A big peeve of speakers is being introduced incorrectly. Before the event, make sure you have familiarised yourself with their bio and have planned an introduction that will make the audience excited to listen to them. This can go a long way towards creating a receptive room for your speaker. After their talk, thank them and encourage the audience to ask them questions – either directly or via their contact details (if they have agreed to this). A personal gift, that shows you have given some thought about what they like, is also a lovely gesture. In the next few days after the event, make sure to thank them again by an email or a phone call. You can ask them for feedback on the event, and share your feedback on them. If you had any professional photos taken of them at the event, it’s nice to share those too, for their records. Any travel-related expenses should be reimbursed timeously, as should the agreed upon fee.